Last year in the fall, Georgia was plagued with two forest fires. 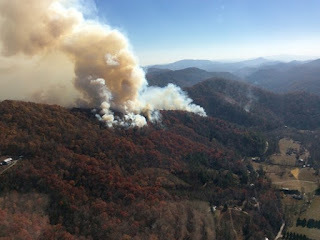 The Rough Ridge fire was in the Cohutta Wilderness. 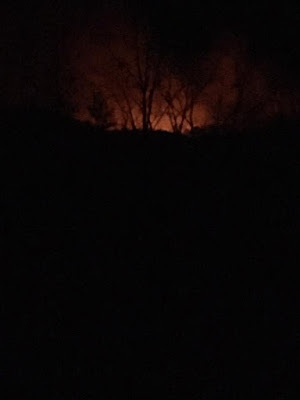 The Rock Mountain fire in Rabun County where I have bees engulfed over 40,000 acres. The smoke from these fires was so bad that the air in Atlanta over 100 miles south of the fires was smoky. Helicopters came to their land to drop big buckets into their pond to get water to dump on the fire. 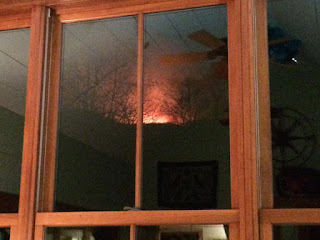 My beehives were about half a football field's length away from this window in the direction of the fire. This past week I was up in Rabun County and when I went to check the hive, the bees (as one might imagine) were gone. We smoke bees when we inspect the hives to create the illusion that a fire is nearby, distracting the bees to go in panic and address the question, "What should I take with me if my house is on fire?" For the bees, what they should take is honey. Of course bees absconding at the end of November would not survive. And where would they go? 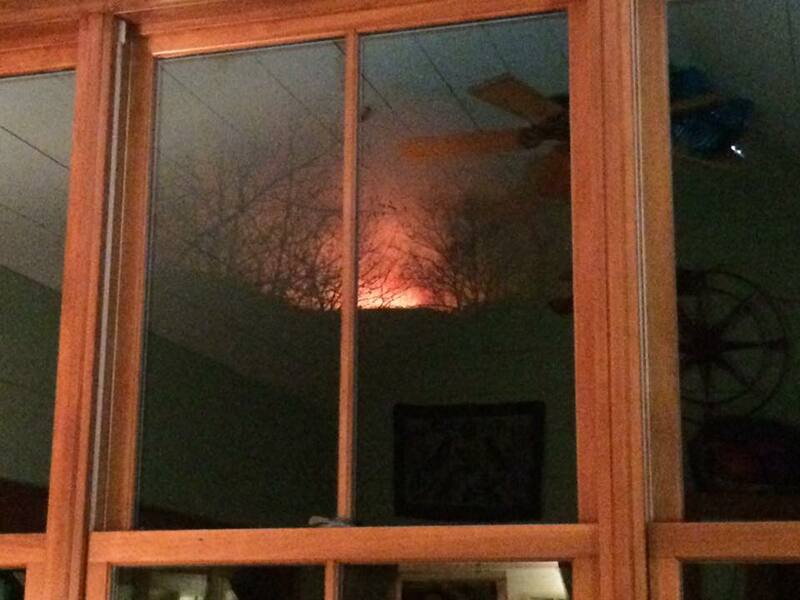 The county was thick with smoke and the fire moved through slowly as it made its way up to Gatlinburg. Engulfed in smoke for days, at some point these bees left. There was not a dead bee anywhere in the hive. I'm sure they took what honey they could, but they left behind full supers of honey. I brought these supers home to harvest and set both Rabun County hives up as swarm hives since swarm season is just starting in north Georgia. I left the hives with two boxes of drawn comb each and smeared swarm lure at the entrance and on the top bars. Maybe I'll get lucky. If not, I'll make a split later this spring to take up there before the sourwood season.